BLOCKCHAIN IN CLINICAL TRIALS – HYPE OR REALITY? Home / BeCRO Live / BLOCKCHAIN IN CLINICAL TRIALS – HYPE OR REALITY? BLOCKCHAIN IN CLINICAL TRIALS – HYPE OR REALITY ? 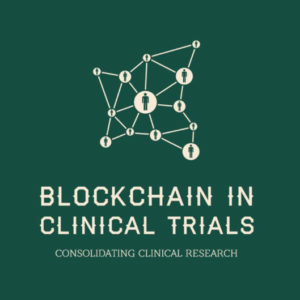 Blockchain in Clinical Trials- How and Why Blockchain and Distributed Ledger Technologies (DLTs) are new disruptive approaches in the Clinical Trials Industry? For the last 2 years, multiple initiatives are moving the Blockchain for Clinical Trials Conversation from Why to How & When with Industry, Regulatory and the Patient . This seminar will embrace several views from pharmaceutical professionals, technologists, clinical trial service providers and other stakeholders who are evaluating the viable use cases for Blockchain /distributed ledger technologies (DLTs). See the details agenda, venue info and registration here. A Unique opportunity to learn how #blockchaintechnology will disrupt #clinicalresearch ! Looking forward meeting you at this unique event ! Share it within your team, colleagues, network ! The seminar is free for BeCRO members, no limit of attendees per company. The workshop will be accessible to non-members (including pharma and biotech) so you will have the opportunity to network after the seminar during the cocktail. So don’t wait to register as the number of attendees is limited ! Wednesday 15 February 2017 : Topic was ‘Plans for event 2017’– Our Board member presented the concept, the CEOs have been asked to provide their input and feedback. Direct to patient trials becomes a hot topic. Sept 30, 2016: Topic : ‘BeCRO Benchmarking Report’ presentation and discussion: validation of the report and gathering input on how to further increase BeCRO’s influence in keeping Belgium as an attractive place for Clinical Research. June 24, 2016 : Topic : ‘Talent recruitment, Management and retention’. Two of our members presented how they attract CRAs, followed by a debate on these challenges. Friday 29 Sep 2017 : Topic : ‘Possibilities to benchmark Employee Compensation and benefits’ presented by MERCER. Following this presentation, the BeCRO Board will negotiate and check interest for the members to participate in the 2018 edition.